Are you excited for the dvd release of Home? This fun movie is full of laughs and adventures! 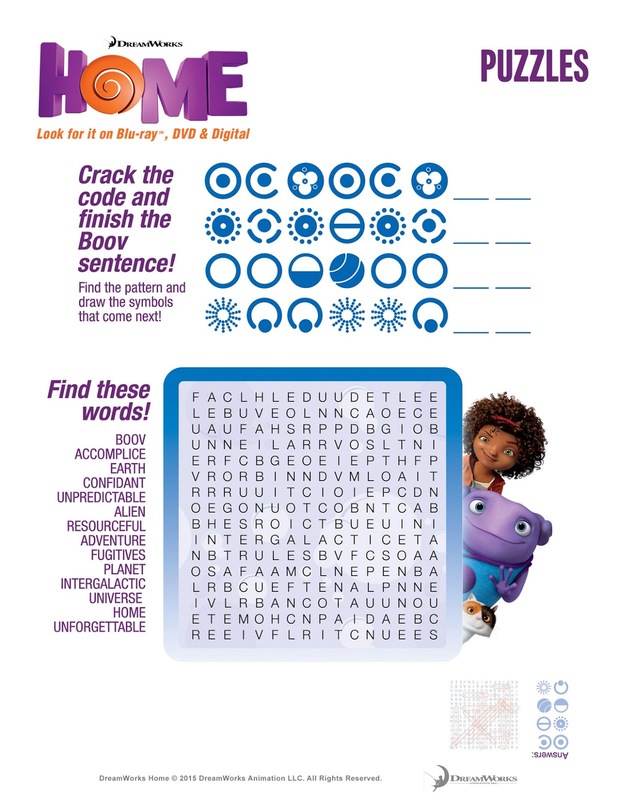 Be sure to check out the fun activity sheets for Home below. GET THE PARTY STARTED AND GROOVE LIKE THE BOOV WHEN THE SUMMER MOVIE ADVENTURE- DREAMWORKS ANIMATION'S HOME- ARRIVES ON DIGITAL HD JUNE 26 AND BLU-RAY 3D, BLU-RAY & DVD JULY 28! 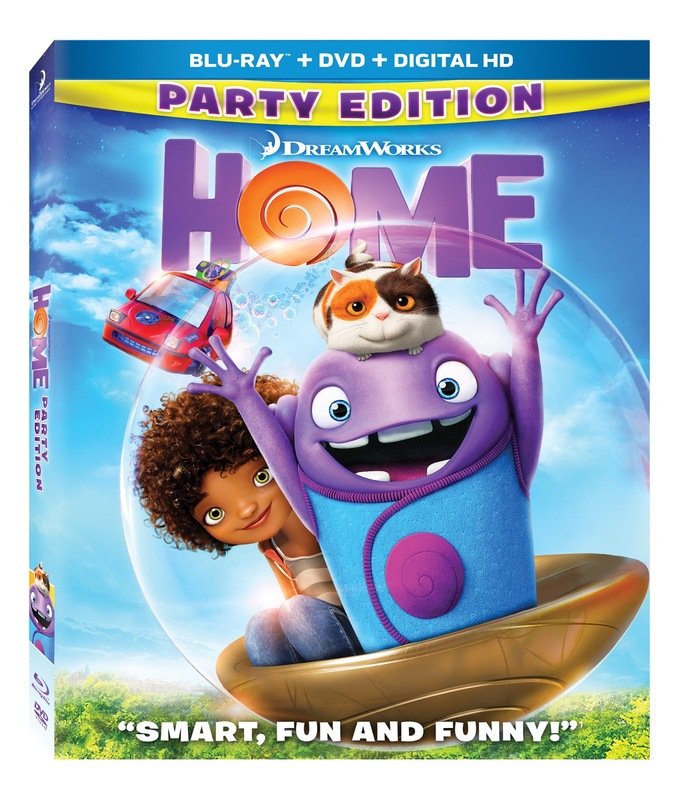 The HOME PARTY EDITION is Packed with over and Hour of Hit Music and Fun Dancing Content that will Get the Whole Family Shaking Their Boov Thing! Celebrate family, friendship and fun in the surprise smash comedy hit of the year from the creators of How To Train Your Dragon and Shrek! 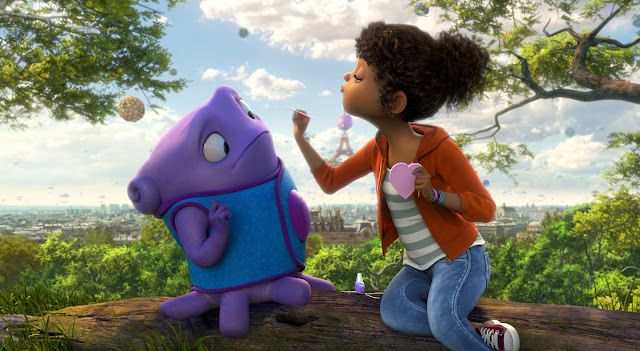 In DreamWorks Animation's HOME, Oh, a loveable misfit from another planet meets a girl named Tip. The two unlikely friends embark on the greatest journey of all time...the journey HOME. Directed by Tim Johnson (Over The Hedge, Antz), HOME features the voice talents of Golden Globe® and Emmy® winner Jim Parsons* (“The Big Bang Theory,” The Muppets), Grammy® winner Rihanna** (Battleship), Oscar® and Emmy® winner Steve Martin*** (The Pink Panther, Father of the Bride) and Golden Globe® nominee Jennifer Lopez (“American Idol,” Maid In Manhattan). • Best Party Ever! 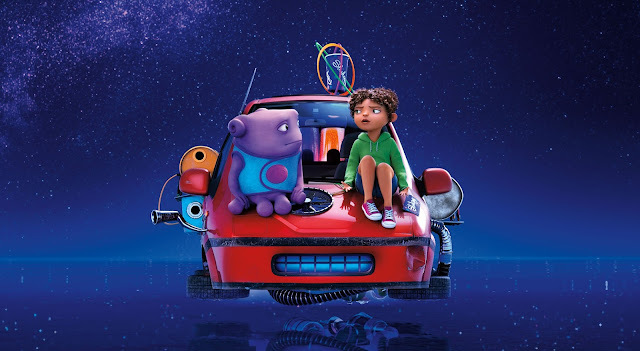 – A Boov-tastic introduction, featuring a HOME montage and voiceover from Oh, inviting you to enjoy all the out-of-this-world extras! • Party Play All – A Boov bonus meter fills up as you watch the fun-packed special features, leading up to an explosion of color and bubbles! • Oh’s Shake Your Boov Thing – Get up and dance with this exciting mash-up of feature footage and music that combines to create an exciting HOME dance video! • “Feel the Light” by Jennifer Lopez – Music Video – Move and groove to the Boov beat watching Jennifer Lopez’s hit music video from the HOME soundtrack! • “Feel the Light” by Jennifer Lopez – Lyric Video – Watch Jennifer Lopez’s hit music video with colorful on-screen lyrics to help you sing along! • Oh’s Boovy Jukebox – Oh’s interactive jukebox includes 16 songs and will take you directly to all the magical music moments in HOME! • Oh’s Party Planning Tips – Oh’s top tip’s for party planning let you create an impressive Boov bash of your own! • This is Being Boov – Get to know all about the Boov in this humorous, handy guide showcasing the characteristics of this unique alien species! • Almost Home – See the trials and tribulations of the Boov on their journey across the galaxy, before they discovered Earth! • Testing Lab – See how the Boov tested out some uniquely human items in their super-secret Boov testing lab. • Deleted Scenes – The hilarious HOME adventure continues with 25 minutes of deleted scenes you couldn’t see in theaters! • Be an Artist! 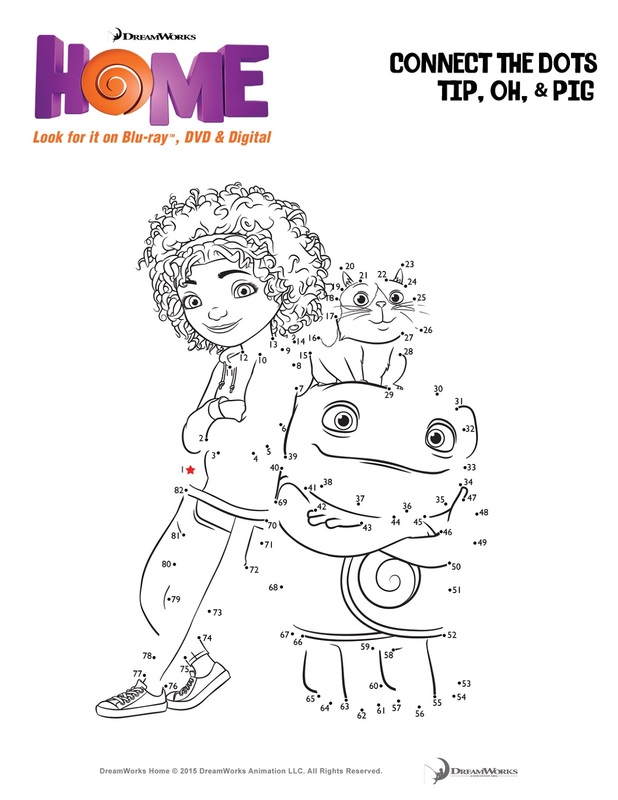 – Animator Andy Erekson introduces you to the HOME character drawing tutorials! 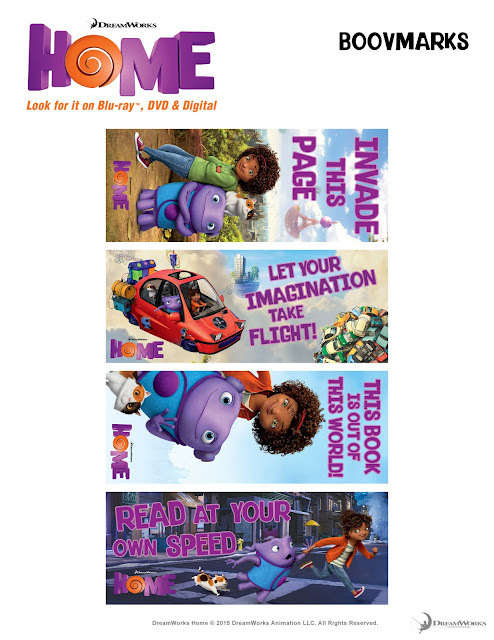 • Stars of Home – Meet the characters of HOME and the extremely talented human actors who voice them! DreamWorks Animation’s HOME PARTY EDITION on Digital HD June 26 and Blu-ray 3D™, Blu-ray™ and DVD July 28. Disclosure: The reviews and or opinions on this blog are my own opinions . I will receive a dvd for posting. No monitory compensation was received. I was not required to write a positive review. Your experience may differ. The opinions I have expressed are my own I am disclosing this in accordance with the Federal Trade Commissions 16 CFR Part 255: Guides Concerning the Use of Endorsement and Testimonials in Advertising . My daughter can't wait to see this movie. Every time she sees an ad on TV for it, she asks to see it. My daughter wanted to see this when it came out. We are all excited to see it . I wanted to go to the movies to see it but since I have two teenagers they did not want to go with their mommy to a kid movie and opted to watch it when it comes out on DVD. I would love to watch this movie with my god daugher! I'm always looking for cool animated movies to watch with her! I also love Rihanna & Jennifer Lopez, so I'm dying to see it myself! Thank you for the opportunity! My nieces and nephews want to see it! I would love to watch this with my kids. My son and daughter both want to see Home! We didn't get a chance to see it in the theater, so they would love to win this! the whole family would but especially my grandson. I have seen this with the whole family already and we all love it! My daughters especially! My daughter saw this with my mom and they loved it! I would love to watch it with my daughter because I haven't seen it yet!! I want to see HOME, as do my grandchildren. My daughter would love to see this. My little girl would love to watch this!! I would like to see it with my 3 kids. My kids would love to see this. I would love to watch this with my family. My son & daughter would love to see this movie! I wanna watch this with my kiddo. we saw it as a family in theaters! it was pretty good! My grandson and I saw the movie in the theater but I know he would like to have the DVD. I would like to see it with my husband and my niece. I would love to see this with my two little ones. My kids would love to see it! My niece would like to see this movie. My kids, as well as my hubby & I can't wait to see this movie! I would love to see this with my 9 year old granddaughter! This looks and sounds like a good movir that I can watch with my grandson, I know he would like it. I think my kids would enjoy it!! thank you! My son and I both really want to see it! My whole family would love to see this. I would! And so would my family!! My niece would like this. My 8-year-old declared this one of her two FAVORITE movies, so I would love to win this for her to be able to see it again (and again)! 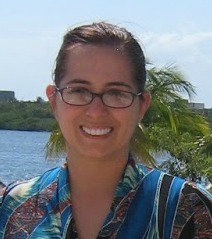 Myself! Oh, and my daughter, of course. Hehe. My daughter wants to see it. My son would love to see this movie. My four year old would love this. After seeing the trailer he now runs around the house waving and saying I got my hands in the air like I just don't care. My four year old son would love this. After seeing the trailer he runs around the house saying I got my hands in the air like I just do not care. My daughter would love to see HOME! The previews looked so fun! My niece and nephew would like to see this movie. We would all watch this together. I love watching these types of movies with our children. My kids would love to see this movie! My fiance really wants to see it. my whole family would love it we have game/movie night every Saturday night and this would be a great family movie! My kids saw this at the movie theater and loved it! It is a cute movie that they would love to see again! My little girl and I would both love to watch it! This would be for my grandchildren. Both my girls (7 & 10) have wanted to see this since it came out. My daughter has wanted to see this ever since it was in theaters, this would be for her. My kids and I would love to! My son and daughter would love to see it! My 3 year old nephew hasn't seen it yet, either, but I'm sure he would be entertained. my daughter saw this with my wife in the theater. she LOVED it and wants to see it again. We plan on buying it, but winning would be great. I would love to see this with my daughter. My son would love to see this! He's been asking for it. Big Earl would so enjoy this! I would like to see it with my children. I would love to see this with my daughter! I would like to see the movie with my grandchild. My son would love to see this! I would love to watch this with my three sons. They're all at just the right age to enjoy the crud out of this movie! Thanks for the opportunity. My daughter saw this with my sitter in theaters but I haven't seen it yet! My daughters would love to see this movie. I would like to win this for my nephew, because he loves Home. He would think I am so cool if I could win this. My 3 daughters would love to see this movie! I'd like to see it myself. I am sure my niece and nephew would love to watch this movie. My niece and I would love to see the movie Home. My kids would love to see the movie. My kids and I would love to see this movie. I would watch this with my daughter and husband. Our granddaughter would love to see this movie. I would love to watch this movie with my granddaughter. I'm sure my little one on the way would love this. My *almost* 3 year old!! My son and daughter would love to see it! My daughter and wife would like this. I would LOVE to see this with my 3 boys! :) Thanks for the chance to win it!